Overlook Green Memory Care Neighborhood opening soon! Internationally renowned personal care community completely dedicated to Alzheimers and dementia care. Attend one of our classes or hold your own private event. Special education schools, resources and programs for children with special needs, as well as those professionals and pre-professionals who serve children with special needs. For the thousands of people diagnosed every year with blood cancers like leukemia and lymphoma, a cure exists. Over the past 25 years Be The Match has managed the largest and most diverse marrow registry in the world. ﻿﻿St. Clair HOSPITAL has two Breast Care Center locations. Bethel Park at the St. Clair Hospital Outpatient Center – Village Square Peters Township at the St. Clair Hospital Outpatient Center, McMurray. To schedule a mammogram, call (412) 942-7800. If you have questions about myeloma and its treatment, a call to the IMF InfoLine, 800-452-CURE puts you in immediate contact with an IMF Information Specialist who can provide information and support. A Mesothelioma Support Community for mesothelioma patients and their families. The Simulation Teaching and Academic Research (STAR) Center at West Penn Allegheny Health System is a virtual hospital. Clinical units include 16 medical surgical rooms, two intensive care/operating rooms, daVinci Surgical System, physician offices, nurses station, four room apartment , standardized patient program and two classrooms. All rooms AV equipped. The CFI is a free program for adult caregivers age 18+. Day camp for children and adults with disabilities and mental illnesses. 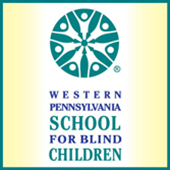 Dedicating to enriching the lives of children and adults with disability and chronic illness. Since 2003, Dr. Tim has practiced NUCCA, a gentle, all natural pain relief treatment. 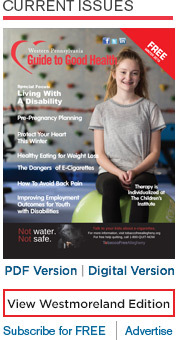 For adults with chronic conditions such as arthritis, diabetes, anxiety, heart disease, chronic pain. 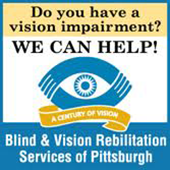 Helping people who are blind, vision impaired or have other disabilities achieve their goals. 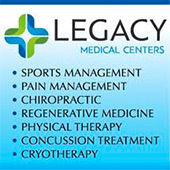 Locations in Cranberry Twp and Fox Chapel.Offering the first Catalys Precision Laser Cataract Surgery System in Western PA.
70,000 square-foot facility featuring state-of-the-art cardio and resistance equipment, climbing wall, indoor track, lap pool, therapy pool, whirlpool, sauna, steam room, basketball court/gymnasium, spin/aerobics studios. Women for a Healthy Environment educates and empowers women to be ambassadors about environmental risks so that they can make healthy choices for themselves and their families and advocate for change for a better tomorrow for all. Join the network of women who, like you, want to change the way we influence our health and the environment! Local, organic, fair trade, non-GMO • Gluten-free, vegetarian • Vitamins & Supplements • Smoothies and more! Center for Hearing & Deaf Services, Inc. Better, Safer, Non-toxic Products for your family. 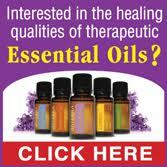 Holistic healing options for stress, pain, infertility and cancer. All inclusive Health Plan providing medical care, adult day, and home care at no cost to qualified older adults who wish to remain independent in their own homes. Lutheran Senior Life VNA Western Pennsylvania 1-877-862-6659 www.lutheranseniorlife.org If you or a loved one requires home care, palliative, or hospice services, call our VNA Customer Center to speak with a knowledgeable in-home care specialist. 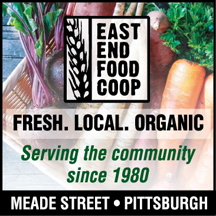 We serve communities throughout western Pennsylvania, including Butler, Armstrong, Mercer and Northwest Westmoreland counties, as well as portions of surrounding counties. 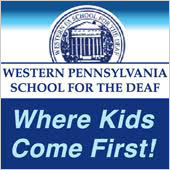 Member of Pennsylvania’s Approved Private Schools, providing education to children with special needs. CLASS offers two programs to assist individuals to lower Medicare costs. Our trained staff will help you make the most educated Medicare choice to fit your needs. 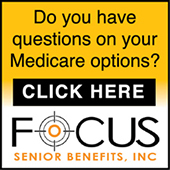 Focus Senior Benefits interacts with you where you feel most comfortable – at your home, at our offices, or at a local neighborhood meeting. A nationally-ranked managed care organization with over 20 years of experience that offers a variety of health plans and programs feligible consumers. Seven days a week 8 a.m. to 8 p.m.
Our selection and 20 years experience will help you achieve a look that's right for you. Guaranteed lowest prices on mattresses, futons, bunk beds, and more. Now offer Post-Mastectomy Products. Ostomy Supplies and Wound Care Products Also Available. Your Local Discount Mattress Store – Guaranteed lowest prices on mattresses, futons, bunk beds, and more. PIMH offers a variety of treaments and an integrative approach to mental health and wellness. Revolutional new sanitation products and services for residential and commercial. Our networking group participants have years of experience in a variety of different settings and can offer advice, products, services and positive connections to help each other succeed. Individuals interested in becoming a living donor can find more information on CORE’s website, or they may call (412) 963-3550 and ask to speak with a living donor coordinator. David M. DeChellis, D.O. Ankur R. Gosalia, M.D. We offer quality, personalized, patient-centered care at 13 different locations. 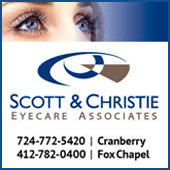 Visit our website for contact information for our five locations! Physical, Occupational and Aquatic Therapy. Incontinence Rehab. Massage Therapy open to the public. Restorations PT offers quality physical therapy for all your PT needs. Day & evening appointments available. WPHO, a partnership of 250 local primary care and specialist physicians and the Washington Health System. 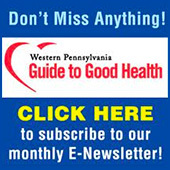 Log on to whs.org for local physicians and healthcare services in your health plan's provider network. Serving the South Hills and Washington areas, the PRC offers pregnancy tests, limited ultrasounds, STD testing, counseling, referrals and support to those engaging in sexual activity. Individuals of all ages, ranging from 14 years to 50+, have found help at the Pregnancy Resource Center. New location at Crafton-Ingram Outpatient Center. Over 18 years providing memory care. It’s ALL we do! Ask about our short-term and respite stays. See our ad on page 53 for list of apartments. 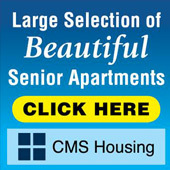 Affordable Housing for Seniors Rent based on income. See our ad on page 53 of the Spring 2018 issue of GTGH for list of apartments. SUPPORTIVE AND AFFORDABLE HOUSING for individuals 62 and older and those 18 years of age and older with disabilities. We manage a variety of communities—designed for your comfort and convenience— in rural and urban neighborhoods. From independent living and personal care, to assisted living and skilled nursing, we make every resident feel cared for and at ease. Call to schedule complimentary lunch and tour. Care coordination, caregivers, transportation services, assessments, support and more! 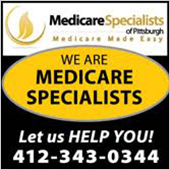 Whether you are new to Medicare or have been a recipient for years, our trained staff will help in making the most educated choice to fit your needs. Pamper yourself at Spa Harmony. We offer an array of treatments and services including massage therapy, acupuncture, reflexology, reiki, manicures/pedicures, waxing/sugaring, skincare and body treatments. Camp for Deaf and Hard of Hearing children. See our ad on page 15 of the Spring 2018 issue of GTGH. Door-to-door service to older adults 65+ and people with disabilities. Older Adults 65+ ride FREE, Commuter service to Pittsburgh. Specialize in accessible, guided small group tours. The Center for Urologic Care, P.C. Located at the St. Clair Hospital Outpatient Center, Peters Twp. In addition to volunteers who can offer an onsite presence, Child's Way seeks donations of all kinds. Abby Kirstein, Marketing and Outreach Manager, particularly mentioned toys that have lights or make noises or play music, and/or have textures. "A lot of our kids have visual impairments, so anything like that is good for stimulation." She also listed dolls, play kitchen items, larg-er Lego sets, and batteries, as well as infant care items. For a complete list, visit the website www.childrenshomepgh.org. Challenge your mind and body with Yoga and Pilates Mat classes. For beginners through the experienced participant, classes range from Gentle Yoga to Power Flow.